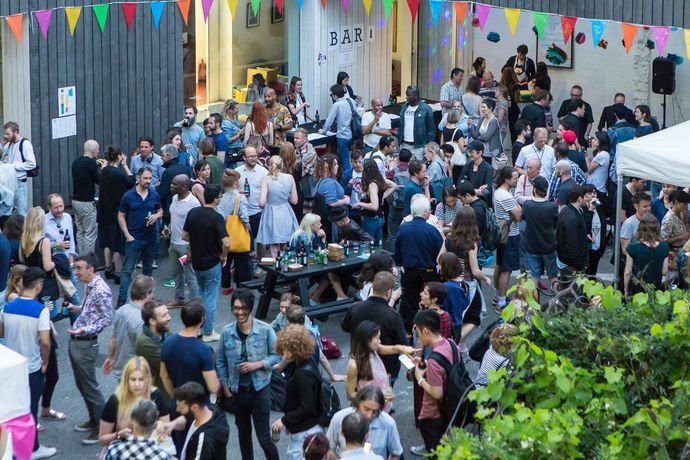 Showcasing the work of over 150 studio artists, designers and makers, paired with live music, pop-up food stalls, a makers' market, performances and workshops - all at Bow Arts' original site on Bow Road. Across Friday 15 & Saturday 16 June, the Bow Open will showcase the work of over 150 studio artists, designers and makers, paired with live music, pop-up food stalls, a makers’ market, performances and workshops – all at Bow Arts’ original site on Bow Road. A highlight of the arts calendar and one of the most vibrant and well attended arts events in London, Bow Open Studios is a fantastic opportunity for members of the public, curators and collectors to explore a vast and diverse selection of work and to meet some of east London's brightest emerging and established artists. With visitors often numbering over 2,000, the Bow Open is also a celebration of all things Bow, featuring live music, cocktails from local gin brewery East London Liquor Company, craft beer, an artist / designers craft market, exhibitions, family-friendly workshops and more throughout the weekend. Our exhibition series Raw Materials will also be on show at the Nunnery Gallery – exploring the industrial history of textiles in east London through archival textiles and contemporary commissions. All of our open studios events are free entry, so just turn up and we'll see you there!